↓Please click each Japanese name of paticipants. You can see the detail info in Japanese and in English. Please click each photo of the below album. You can see the detail info in Japanese and in English. 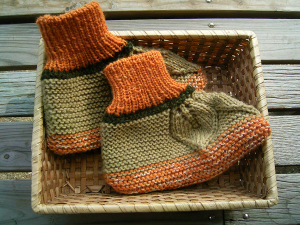 Everybody who likes knitting is welcome including beginners. You can buy beautiful hand-dyed yarns here at very reasonable price. ◆Bring your own knitting tools if you have. 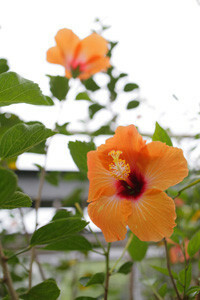 Kamakura is surrounded by mountains where you find good varieties of plants. 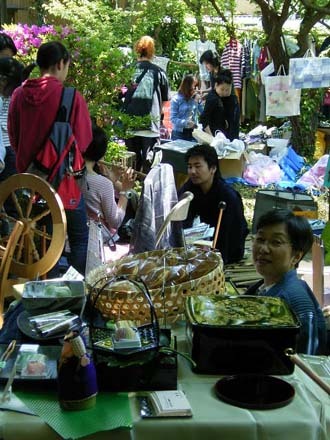 In this event, you go into the field to take some plants for dyeing and learn how to dye with them at Khaju art space, a renovated Japanese old house. 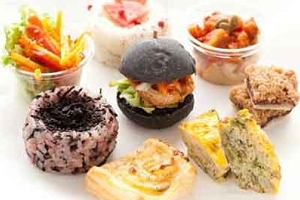 Lunch and sweets will be delivered by a popular deli “3p.m.”　in Hayama. In the end of November, you would enjoy the autumnal leaf coloration　in Kamakura. 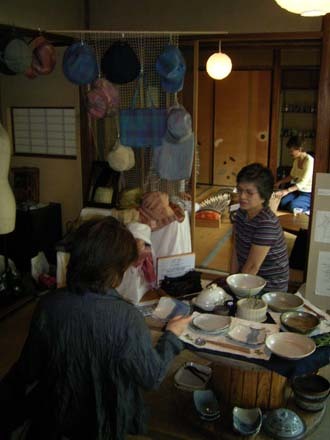 Why don’t you stay in Kamejikan and experience the Japanese tradtional style of dyeing ? 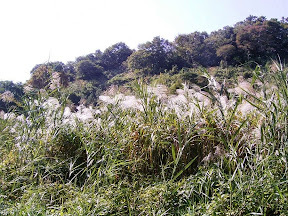 ◎Boil the plants taken from the field and you will dye a Furoshiki, the traditional wrapping cloth. 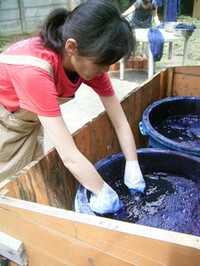 You will learn easy and safe basic technique of Japanese dyeing. 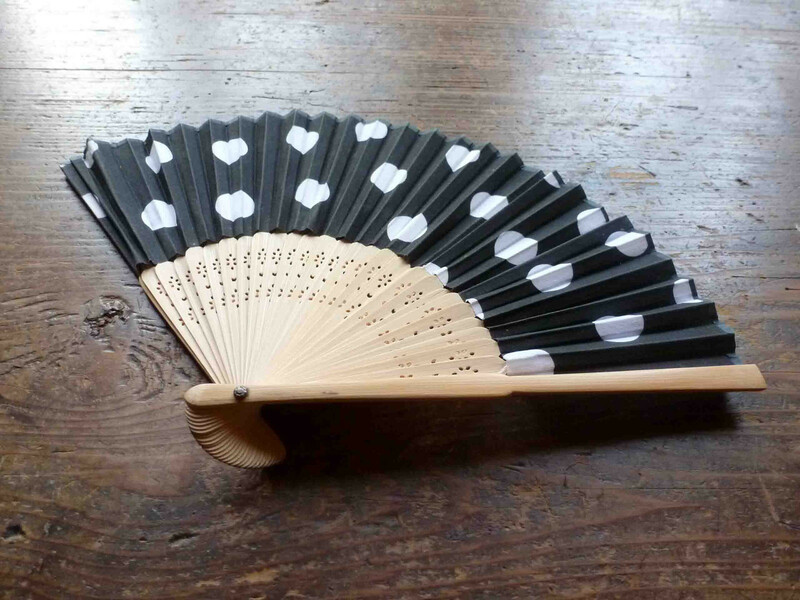 If you wish, we can send you the Furoshiki and the stamp. Pajamas, towels and teeth brush. Graduated Joshibi University of Art and Design. 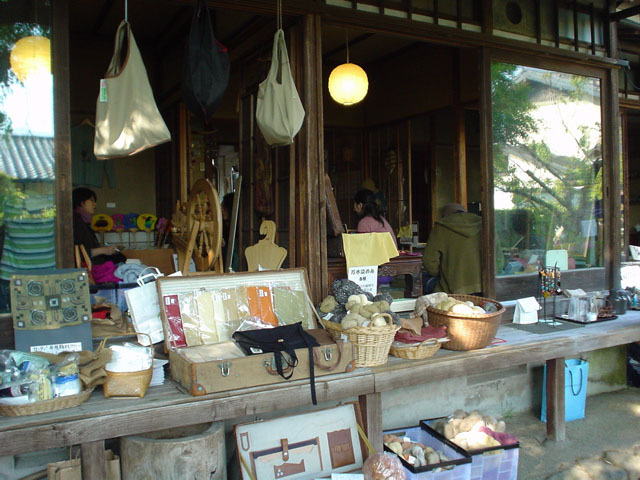 Runs Khaju art space with dyeing studio from 1997 in Nikaido, Kamakura by renovating 80years old house. "Spinning"...one of the most fundamental works for human beings. Let's experience and think about the true meaning of "what is creation". 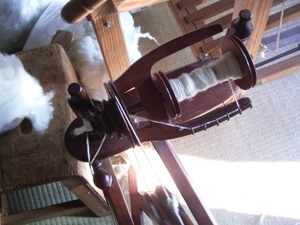 You can learn how to use spindle and spinning wheel. 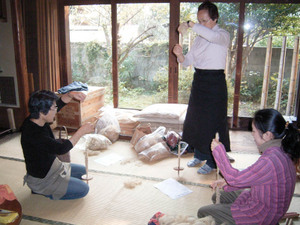 And also study about sheep wool ; quality, kinds or history. Please make an entry soon! 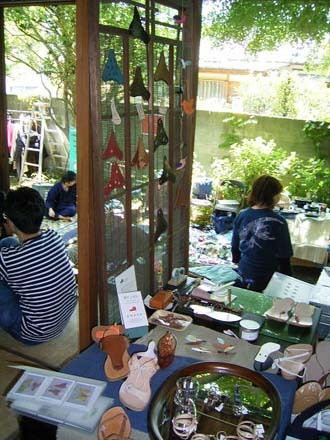 Makiko's studio in Khaju Art space holds a small comfortable tea party with knitting every 4th Sunday. 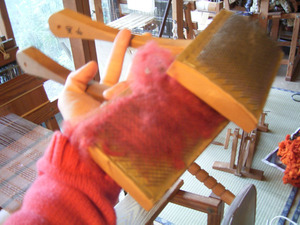 ◆Bring your own knitting tools if you have them. 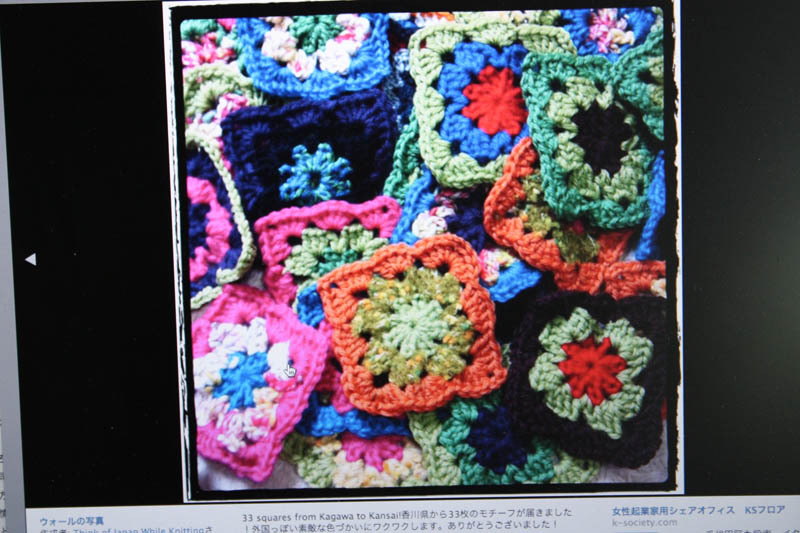 This month we are going to joinThink Of JAPAN Whille Kniting Kansai's activity. 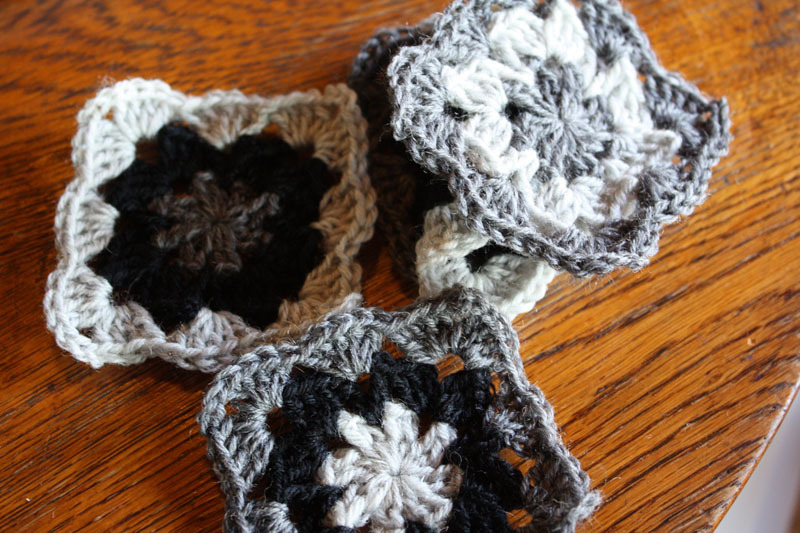 When you click the project name, you will see the detailed information including draft of the motif design and Youtube movies of how to crochet. Let's get together to join this project on 23rd at Khaju! 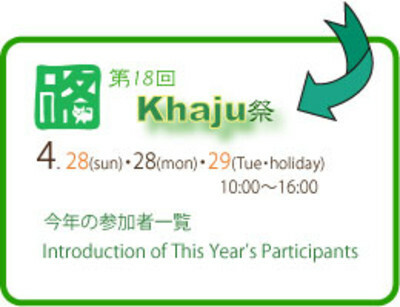 "Khaju Summer Workshop Series 2012" is held as our annual function. We present many interesting workshops this summer as well. Of course some of them are good for small kids! Don't hesitate to join us! ※Please understand that we might request you to pay the fee in the case of your sudden cancel or absence without notice. Yoga focuses on stretching and strengthening the body while focusing on the breath in order to relax and focus the mind. Therefore it improves both physical and mental health. *private lessons (individual or group) are also possible. You may request your time and day.Please contact to Stacey. We will cultivate a deep powerful breath to help us to open and release our muscles in a gentle yoga class that includes warming up, standing, seated and laying down poses followed by deep relaxation time. We will use simple movements to warm up the body and then focus mainly on seated and lying down poses. We will use slow deep breathing to encourage the body to release and the mind to relax. We will then practice some self-massage techniques before our final relaxation time. ◇Please wear something comfortable and bring your own Yoga mat. Stacey has been practicing yoga since 1997. She has been teaching yoga for 7 years in Tokyo and Hayama. 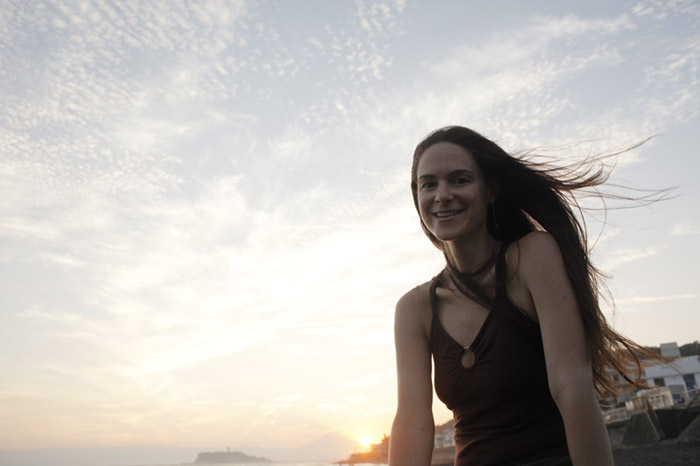 She has studied yoga and meditation in America, India and Japan. She recently training in Thai Massage in Chiang Mai, Thailand. She has lived in Japan for 10 years. Her classes are a mix of Japanese and simple English. She hopes that her students will leave her class felling relaxed, refreshed and a little clearer. You can buy beautiful hand-dyed yarns here at very reasonable prices. 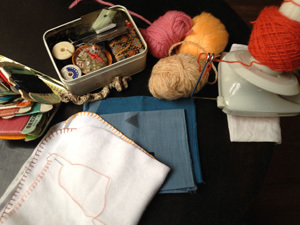 Please bring your own knitting tools if you have them. ◆Jul.25（wed）13:30‐16:00　※postponed to 26(thu) if it rains. On July 25 is the day of Kamakura Fireworks on Yuigahama Beach. 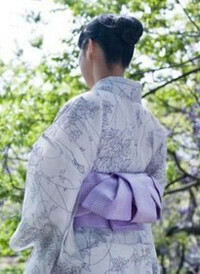 Why don't you go there with wearing a Yukata,(casual summer Kimono.) Mrs. Mori will help you to wear it! Men, women and kids (also) welcome. Kazuyo's calligraphy class, which is a popular regular classes at Khaju, is open the class to everyone who are interested in Japanese calligraphy. 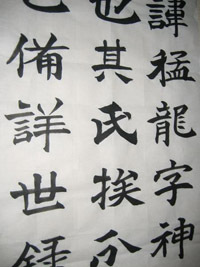 For adults：basic technique, Hiragana writing, Kanji writing, or designed letter writing. ◇Please bring your own writing brush. ※You can borrow if you don't have one. Illustrator Mihoko teaches you how to make a beautiful caldleholder with wasted plastic bottle. Since 3.11, "electricity" has become a big issue for us Japanese. "I hope the candle light will be an opportunity to think about this problem." Mihoko says. ◇Please bring scissors and a straight-shaped plastic bottle(500ml). Insect repellent on the market includes the chemical "deet". It's developed in 1946 in America by the US army for military soldiers to avoid mosquitos and mites. It is said that it's safe for human body but it could be a cause of neurological disorder or dermatitis. 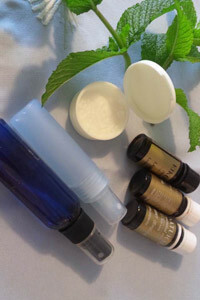 In this class Aromatherapist Yoko teaches you how to make safe and natural insect repellent spray and ointment with four kinds of aromatic essential oils. Mothers and small kids, welcome. ◇If you cancel your reservation the two days before the lesson day, we request to pay the whole fee. We will send you the spray and ointment later. Taking photos is a nice relaxation as you know. Akiko is a special therapist with photography. You can find clear vision about 'what's your favorite', 'what you need' or about your natural born artisic talent. ◇Please bring your own camera and writing implement. Any kinds are available including disposable camera. Let's get beautiful colors from garden plants. 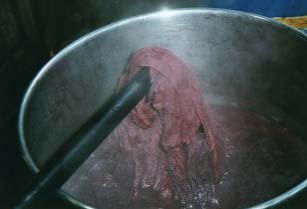 You can study basic safe technique and theory about natural dyeing. ◇Please bring lunch, notebook, plastic bags, apron and used T-shirts/scarves or other natural materials which you want to dye. 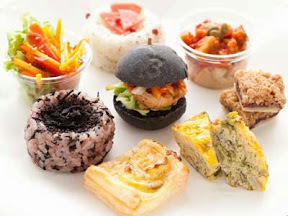 Mihoko is an owner chef of organic catering service "3p.m." Her cooking theory is based on balance of colors, being alive and in tune with astrological rhythm. 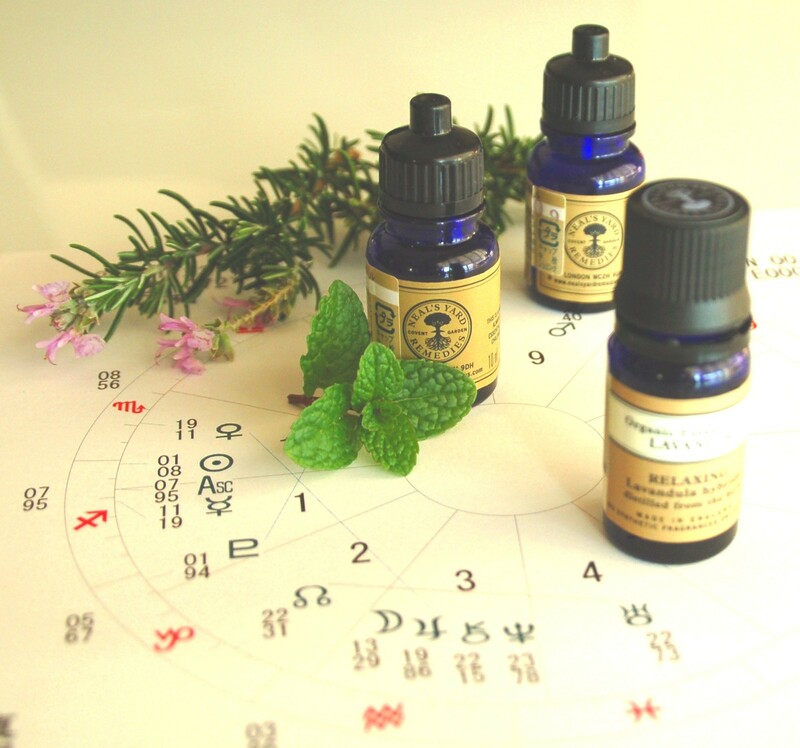 Umika is an astrologist and aromatherapist. This is quite a unique collaborative workshop by these fantastic women. 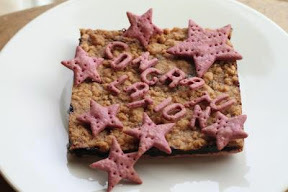 You can enjoy amazingly yummy and beautiful organic lunch with an astrology consultation. 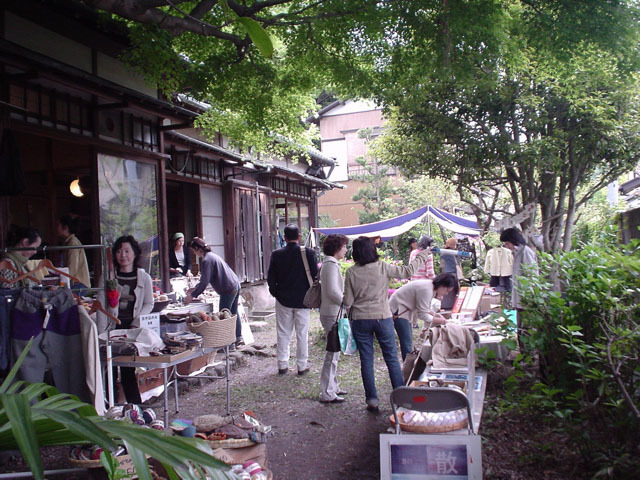 An architect J. H. Morgan's home, which was built in Daigiri,Fujisawa City around the sixth year of Showa. (1931), is Kanagawa prefecture's treasure. Lisa is one of the leaders of the"Group To Keep Morgan's Residence". The house unfortunately had an accidental fire t a couple years ago and it greatly damaged the house. Now the members of the group are making efforts for restoration. 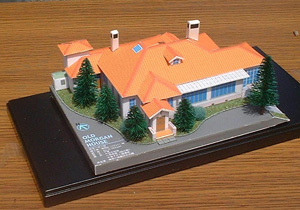 The group has a 1/150 size Morgan's house paper model kit designed by HAZEL, paper craft artist in Osaka. This is a good opportunity to know architectural beauty of Morgan's house and very enjoyable craft work as well. 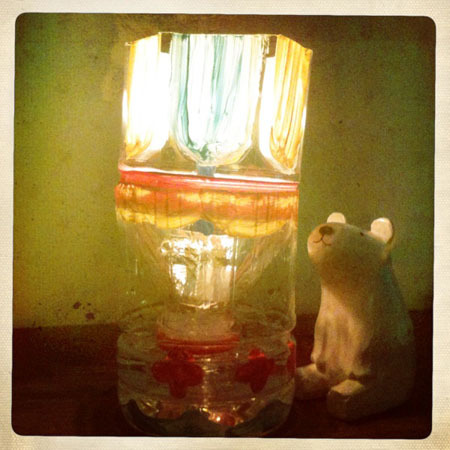 ◇It takes about three hours.After finishing, we take a photo of your house model and upload to our website. 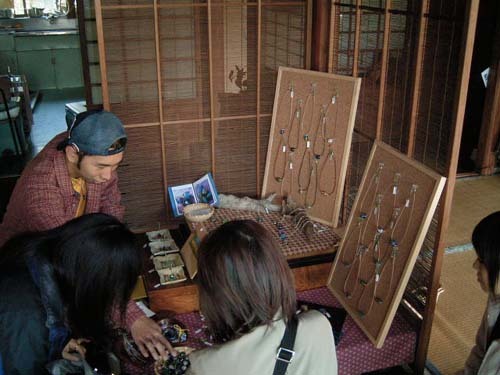 Don't you think the time of every kind of handicraft work makes you happy? Why don't you join our knitting and sewing gathering. You don't have any tools or materials? No problem. We have them! 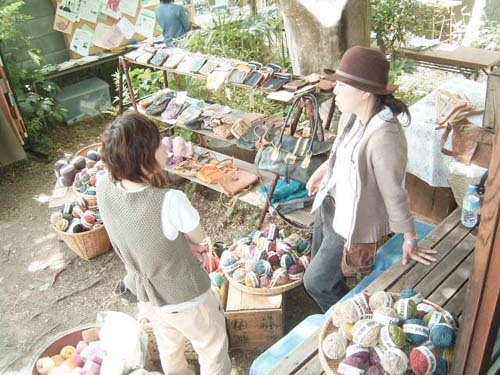 Let's enjoy handicraft time with chatting and tea and sweets. ・Let's make socks with leftover yarns. 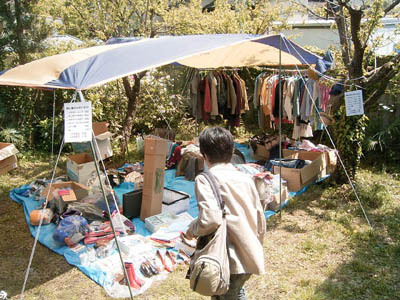 ・Let's make sanitary napkins with secondhand shirts or towels. ・Let's make buttons with cloth by Japanese traditional origami technique. Indigo blue is the most longing color for us Japanese. We have a long history of Indigo dyeing. You can learn basics of Indigo and tie-dye . ◇Please bring lunch, notebook, plastic bags, apron and used T-shirts/scarves or other natural materials(except wool) which you want to dye. It's a very easy and comfortable project for everybody to get together for making a good time with a cup of coffee. There are no difficult rules,themes or purposes. Please join us with easy/open/flexible mind and let's make up joyful brain-storming. 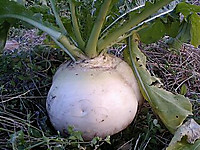 It's the time to think about "how to make up rich life without nuclear power". 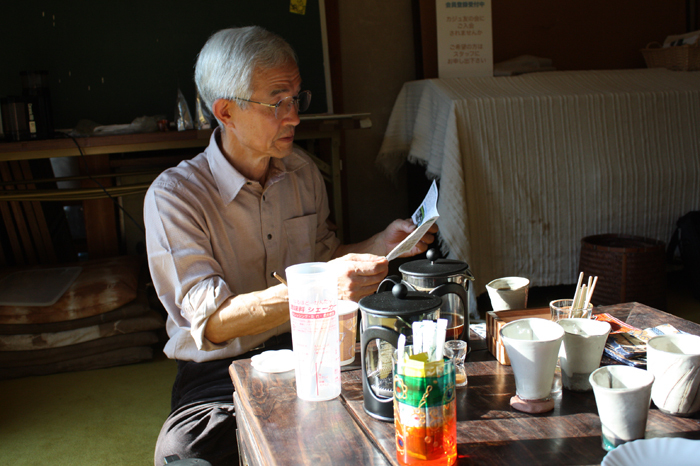 Tamotsu who is a local architect believes that one of the most important things is to make a new energy system in a small local unit. This meeting is for knowing/developing many ideas about what we can do next. Let's talk about clean and safe energy systems in Kamakura. 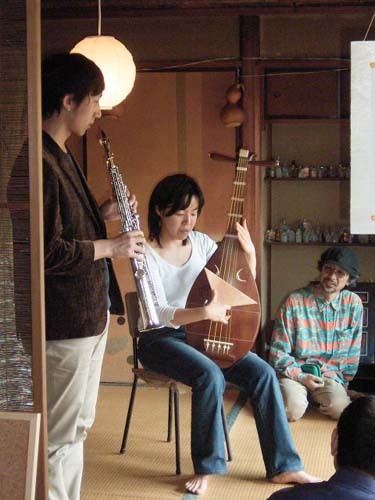 Naomi's vocal class,one of the most popular classes at Khaju, now has open lessons. Please book beforehand if you want to observe the lesson. This is "artistic chemistry class" for kids. 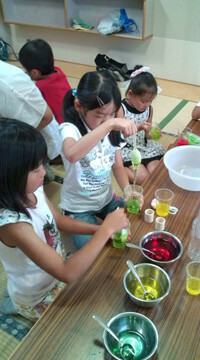 You can experience colorful or shiny "slime" here.Of course you can learn how to make it! Theatre Akatsuki is a local Kamakura group which creates original plays at halls, cafes or old Japanese houses and other unique places. 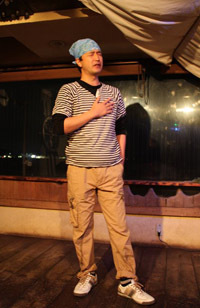 Masahide who is a script writer and actor of this theatre group teaches drama workshops for beginners. It could be a good opportunity for you to release your hidden character and to develop your communication skills. All generations are welcome! ◇Please bring your own drink and lunch. 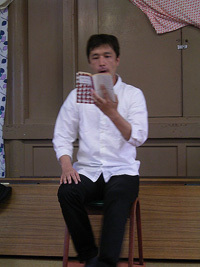 Masahide also organizes reading workshops. 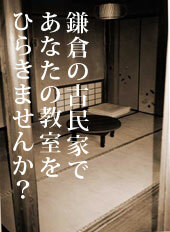 It would be a great time to rediscover the true beauty and power of Japanese language. Let's join with your favorite book. Farming teaches us many things. 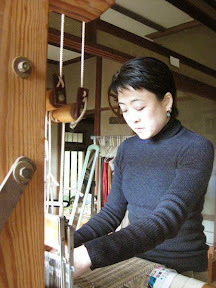 Motoko is the best teacher of farming in Kamakura. You must get the knack of farming in this class. 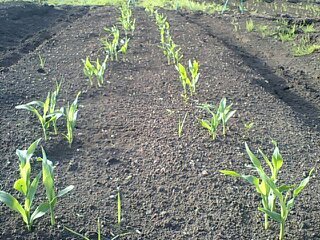 We are planing to raise some winter vegetables. You can get the harvest in February or March.